Long before Rachel Carson's fight against pesticides placed female environmental activists in the national spotlight, women were involved in American environmentalism. 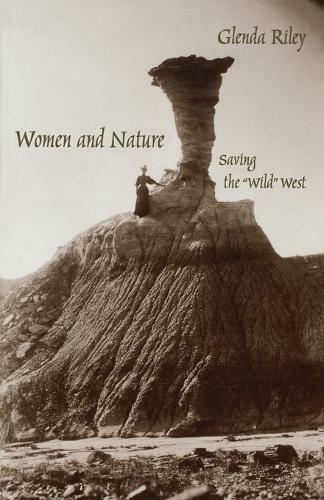 In Women and Nature: Saving the "Wild" West, Glenda Riley calls for a reappraisal of the roots of the American conservation movement. This thoroughly researched study of women conservationists provides a needed corrective to the male-dominated historiography of environmental studies. The early conservation movement gained much from women's widespread involvement. Florence Merriam Bailey classified the birds of New Mexico and encouraged appreciation of nature and concern for environmental problems. Ornithologist Margaret Morse Nice published widely on Oklahoma birds. In 1902 Mary Knight Britton established the Wild Flower Preservation Society of America. Women also stimulated economic endeavors related to environmental concerns, including nature writing and photography, health spas and resorts, and outdoor clothing and equipment. From botanists, birders, and nature writers to club-women and travelers, untold numbers of women have contributed to the groundswell of support for environmentalism.